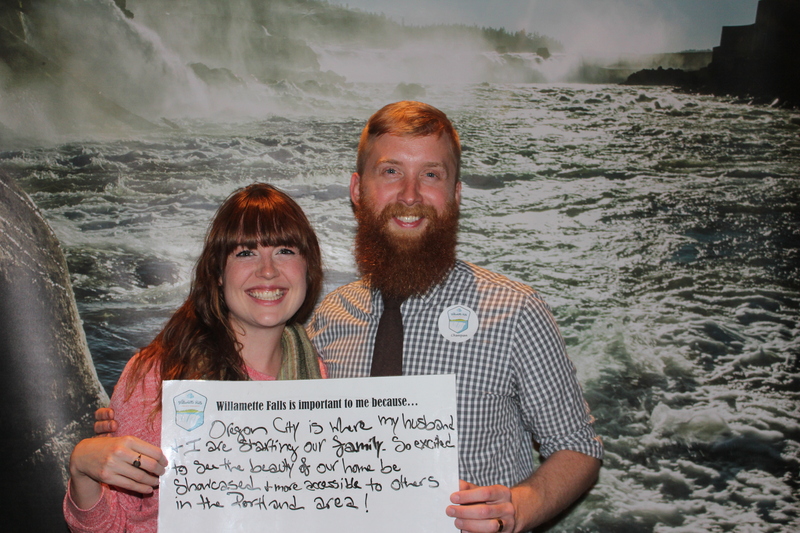 Riverwalk kick-off event attracts people far and wide to celebrate the power of Willamette Falls. Over 400 people attended our event last night to meet the Riverwalk designers! We saw inspiring presentations and listened to a thought-provoking discussion from our Riverwalk team from Portland's Mayer/Reed Landscape Architecture, Oslo/New York-based Snøhetta, and Vancouver, BC's DIALOG. There were many familiar faces there, including members of the new non-profit group Rediscover the Falls, and a lot of new faces as well. It was great to see you all there! See photos from the event and submit your thoughts to the designers below if you didn't get a chance to do so last night. This project has been successful to date because it has been grounded and supported by passionate people who care about this amazing place. Our success in creating a new Oregon landmark depends greatly on our ability to capture what is special about the Falls for all the people who have lived, worked, fished, celebrated, paddled, and dreamed there across many generations. You can begin plugging into this project today. We need to ensure that your knowledge and passion for this place is embedded in the final design. There will be many opportunities to be involved with the design process as we movd forward. Stay tuned and stick with us to help make this project a reality.